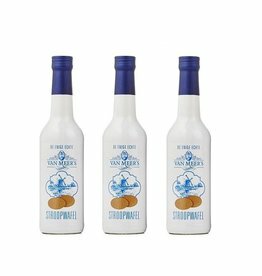 Delicious liquor according to the authentic Dutch stroopwafel recipe. Available in various sizes, ranging from small to medium to large. 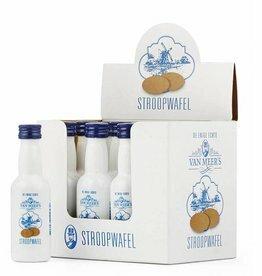 You can even try the try-out stroopwafel liquor tray. 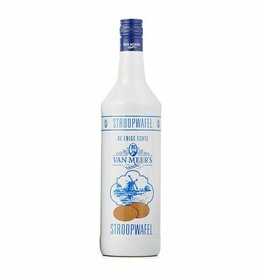 This stroopwafel liqueur can be taken as shot or mixed with coffee, tea, desserts (like ice-cream) or stroopwafel cake. The alcohol percentage is 14.7%. Cheers! 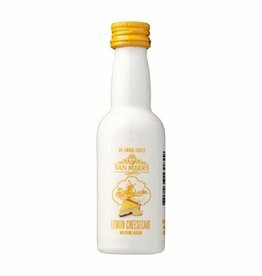 Van Meers Lemon Cheesecake Liqueur shot. Delicious Brownie Liqueur (12 Shots) from the Van Meers Family.